Coming home to a chewed sofa and a stinky surprise on the carpet is frustrating, but behind these behaviors is a dog crying out for help. Most pet parents have heard of separation anxiety in dogs, but few know exactly what it is or how to treat it. 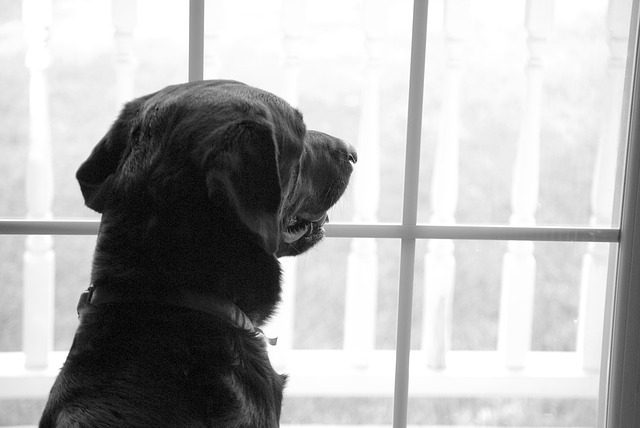 No dog likes to see their human walk out the door, but those with separation anxiety take their reactions to the extreme. They whine, pace, and drool. Others bark or tear up household items. When you return home, they act as if you’ve been away for weeks. Why do some dogs develop such drastic behaviors while others do not? What symptoms should you look out for that show your dog is suffering from this heartbreaking condition? And most importantly, what can you do to help relieve their stress? In this post we will address all these questions and more. Separation anxiety is a frustrating and widespread problem for countless dogs and their owners. It occurs when a dog becomes overly attached to its human(s) and suffers severe stress when left alone. True separation anxiety is more than just a bit of shaking and whining when you prepare to leave the house. It is a serious behavioral condition that involves disruptive and destructive actions. In fact, it is a common reason people abandon or give their dogs up to shelters. What Causes Separation Anxiety In Dogs? Any dog can develop separation anxiety under the right set of circumstances. While the exact cause is not known, several factors contribute to the problem. Dog cognition expert, Alexandra Horowitz led a 2014 study measuring the reactions of various dog breeds to five stressors: meeting unfamiliar people, meeting other dogs, touch sensitivity, loud noises, and separation from their humans. Small breed dogs such as Chihuahuas, Dachshunds, Malteses, Toy Poodles, and Yorkshire Terriers were more reactive to the separation tests than larger breeds. However, certain large dogs bred for working, hunting, and herding also have high rates of separation anxiety. Vizslas, German Shepherds, and Australian Shepherds are known for this behavioral issue. Another major factor contributing to separation anxiety in dogs is being removed from their mothers before eight weeks of age. 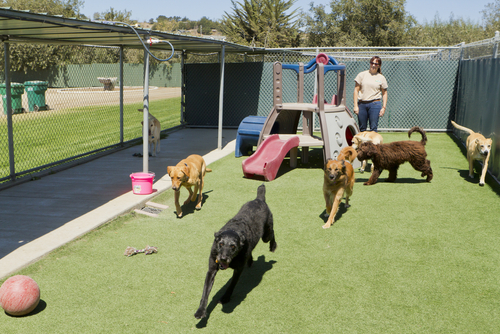 This is a crucial development period during which puppies learn social and bonding skills. If taken away too young, they are more likely to experience anxiety during separations from their humans. Rescue dogs and those adopted from shelters have high rates of separation anxiety. These pups often develop nervous or defensive dispositions because of their difficult pasts. Fending for themselves on the streets and spending hours in a kennel is traumatic to social animals like dogs. This certainly does not mean that rescue dogs cannot adjust to new, loving homes. They may need more patience and counterconditioning training, but they can definitely learn to feel safe and loved. The Holmes And Rahe Stress Scale ranks the most stressful life events a person can endure. Not surprisingly, many of the same life changes made the list of separation anxiety causes in dogs. Some of the following triggers may explain why shelter and rescue dogs become anxious. 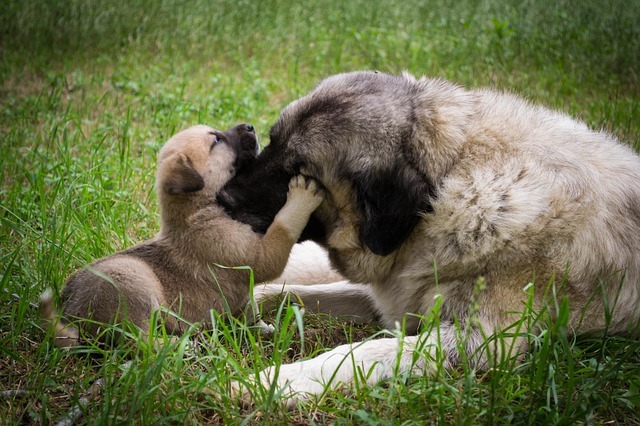 Others are responsible for new or worsening symptoms in family dogs. 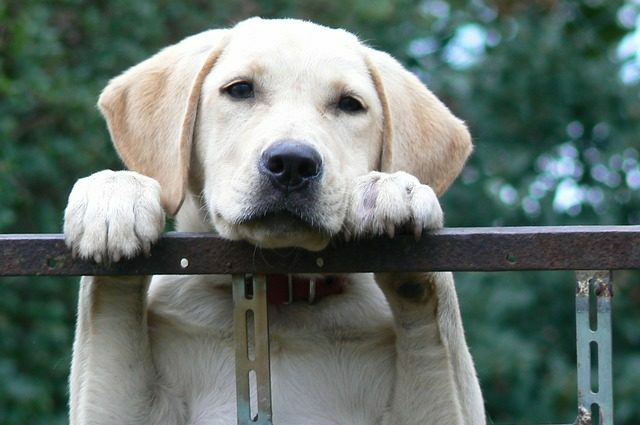 What Are The Signs Of Separation Anxiety In Dogs? Some dogs with separation anxiety internalize their stress. They may shake or hide when you leave, or develop nervous habits like pacing or chewing their paws. Others show more obvious signs of distress, barking uncontrollably or destroying property. If your dog displays any combination of the following behaviors, you may be dealing with separation anxiety. Dogs with separation anxiety may whine as you prepare to leave the home and escalate to howling and barking once you are out the door. This vocalization usually begins right away and persists while you are gone. You may get complaints from neighbors saying your pup barks off and on during your entire absence. Not only is this extremely stressful for your dog, it could result in having to give up your pup or lose your home. Some dogs become so upset they urinate or defecate when left alone. Since stress can cause gastrointestinal and urinary tract issues, this is not a problem to ignore. If this behavior is new or you notice loose stools or blood in the urine or stool, see your vet to rule out a health problem. Leaving your dog alone too long or failing to provide adequate potty training can also lead to house soiling. Dogs with severe separation anxiety may chew furniture, scratch doors or windows, and wreck personal items. Not only is this an expensive and frustrating problem, your pup could also injure himself in the process. Veterinarians see dogs with torn toenails, broken teeth, and serious lacerations sustained due to separation-induced panic. Some dogs even swallow items and require life-saving surgery. This dangerous behavior occurs when a dog becomes so frantic, he attempts to dig or chew through windows or doors to escape the home. Some dogs leap through plate-glass windows. Others find themselves trapped on second-story roofs. Not only are these dogs at a high risk for injuries, they may also become lost in their frenzy to find you. Pacing is an obsessive behavior where the dog walks back and forth along a specific path to self-sooth his anxiety. This may be accompanied by nervous vocalizations like whining or howling. Dogs that self harm deal with anxiety by obsessively licking, chewing, or scratching at their own bodies. Lick granulomas are common in dogs with separation anxiety as are injuries to the tail. How Can You Help Calm Your Dog When You’re Not Home? If your dog is displaying any of the serious symptoms above, the first priority should be a health and behavior consultation with your veterinarian. He or she can confirm that it is truly separation anxiety, not a medical problem. They can also recommend a professional trainer, anti-anxiety medications, holistic options, or lifestyle modifications such as those listed here. Provide plenty of exercise – A tired dog is a calm dog. Calm greetings & goodbyes – Making a fuss of leaving or returning reinforces separation anxiety. Toys, chews, & entertainment – Music or television can provide a pleasant distraction, as can a favorite toy, chew, or treat-dispensing puzzle. Consider a pet sitter or doggy daycare to break up your pup’s day. Dogs with serious anxiety problems should receive professional counterconditioning training. Counterconditioning helps dogs change their perception of a particular distressing stimuli. For some pups, it is cars or joggers, for others it is a certain place or a specific object within the home. Whatever the trigger, a professional dog trainer or behaviorist can help desensitize your pup and turn an anxious reaction into a relaxed one. 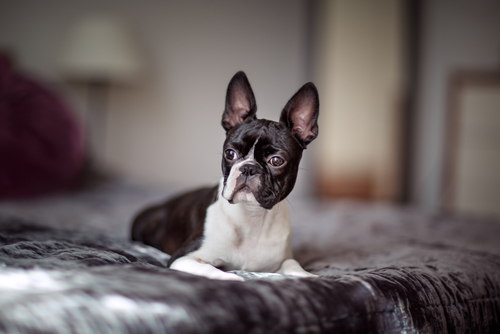 With separation anxiety, counterconditioning focuses on offering the dog a high-reward treat or toy at the time of your departure until he comes to associate your absence with something good. For example, you may try a puzzle toy or treat mat to distract your dog as you leave. The smell of the hidden treats will hold his attention while you depart, and keep him busy for several minutes. For dogs with more severe cases of separation anxiety, your trainer will walk you through several short separations, gradually increasing the length of your absence each time. This slowly teaches your dog that no matter how long you are gone, you will always return. 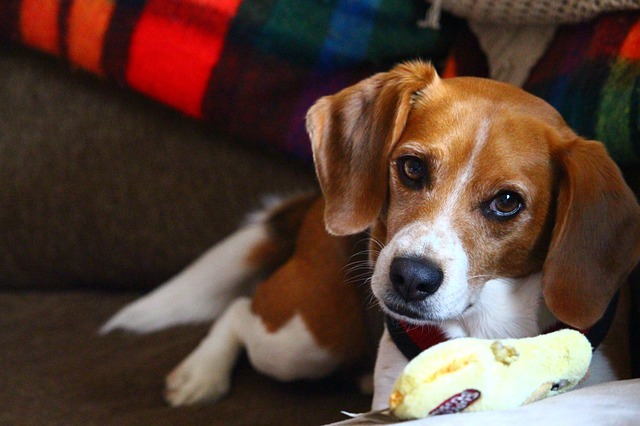 What Can You Give Your Dog To Help Ease Separation Anxiety? 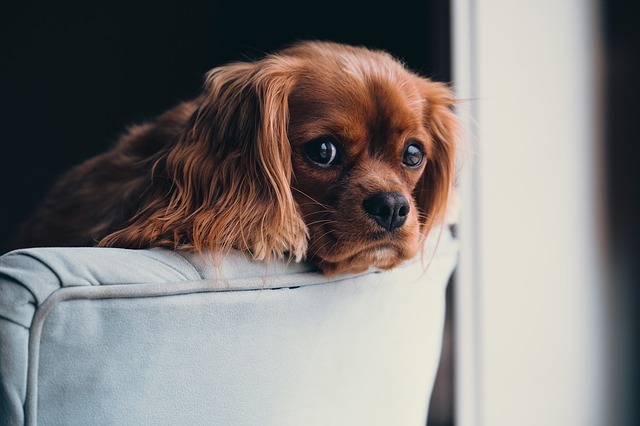 Anti-anxiety medications are highly effective for treating the symptoms of separation anxiety in dogs, and your veterinarian may recommend them for severe cases. However, it is important to be aware of the potential side effects. Most of these drugs cause drowsiness, some cause GI upset, and others interact with additional medications. Still others may not be safe for dogs with certain health concerns. Before beginning a regimen of anti-anxiety drugs, consult with your veterinarian and inform him or her of all other meds your dog takes. Cannabidiol – or CBD – is a natural extract of the hemp plant. This extraordinary compound is gaining traction as a safe, effective option for dogs with separation anxiety. CBD oil helps stimulate serotonin production in the brain, which stabilizes mood and helps bring a sense of calm to the body and mind. 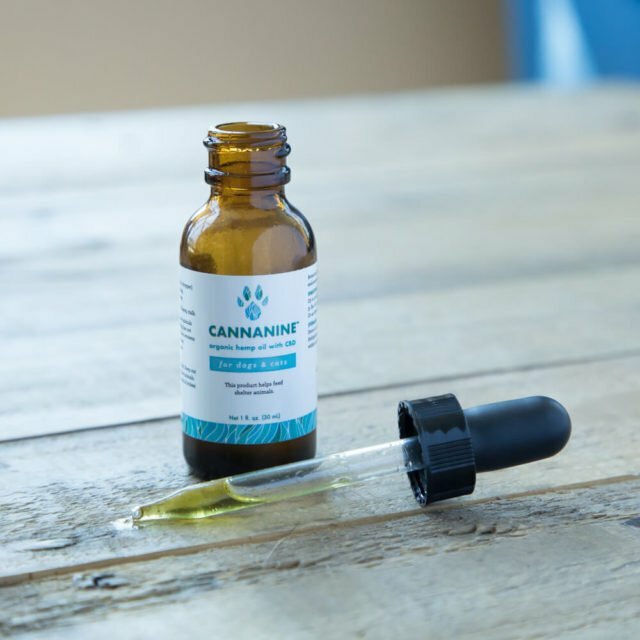 Cannanine Organic Full Spectrum Hemp Oil™ is made specifically for dogs and cats, so all traces of THC – the compound that causes marijuana’s signature “high” – have been removed. Cannanine is made from organically grown Colorado hemp, and is free of heavy metals, bacteria, and other harmful toxins. While CBD oil provides the fastest relief from the symptoms of separation anxiety, picky pups may prefer our bacon flavor Soft Chews. Our bacon and cheese flavor All-Natural Baked Dog Treats are great for a small dose as needed.